Your aurora extravaganza starts at Kiruna Airport, where you will be greeted by a driver and transferred to your hotel in Kiruna. This evening your guide will take you on a snow shoe walk in the wilderness to several key spots for viewing the northern lights. The pace is flexible, so the tour is suitable for all levels of fitness. You will also enjoy some coffee or tea and a well-earned sandwich before heading back to town. 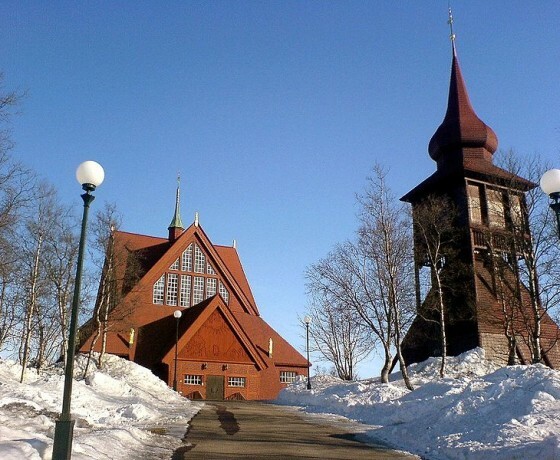 * Spend the next three nights in the heart of Kiruna. 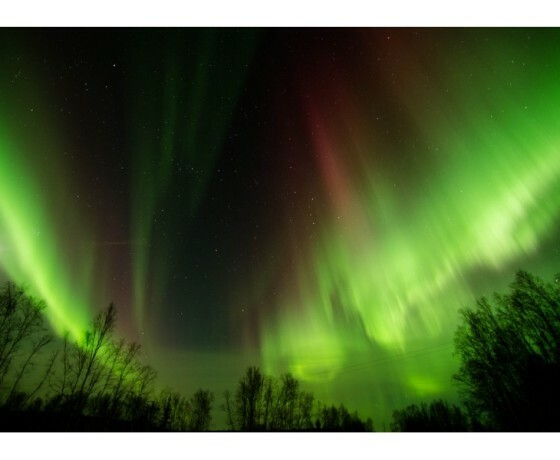 * Please note that the northern lights are a natural phenomenon so sights cannot be guaranteed. * Please note that the snow shoe excursion is not suitable for children. Regarding flights to/from Kiruna Please note that there are no flights to/from Kiruna on December 24th, 25th and January 2nd. 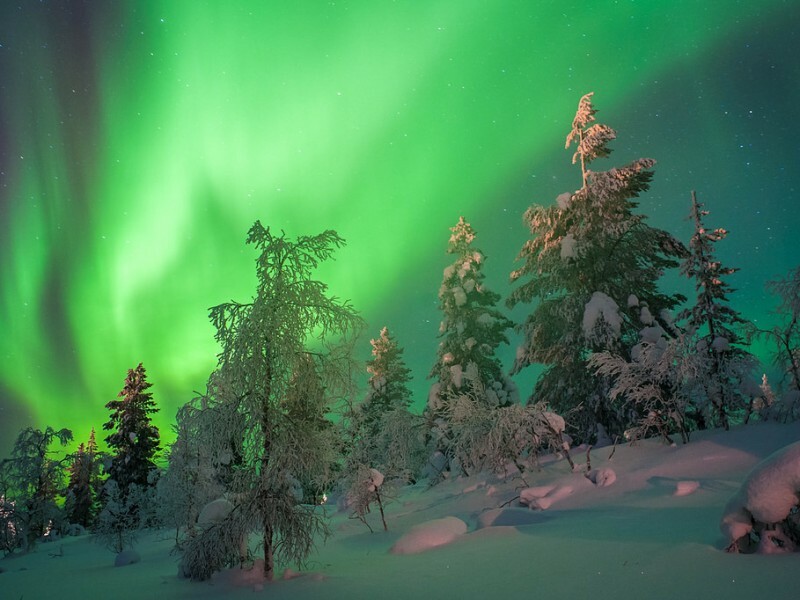 There are reduced flights to/from Kiruna on December 26th and 31st. We can however add extra nights to your preferred package if needed. 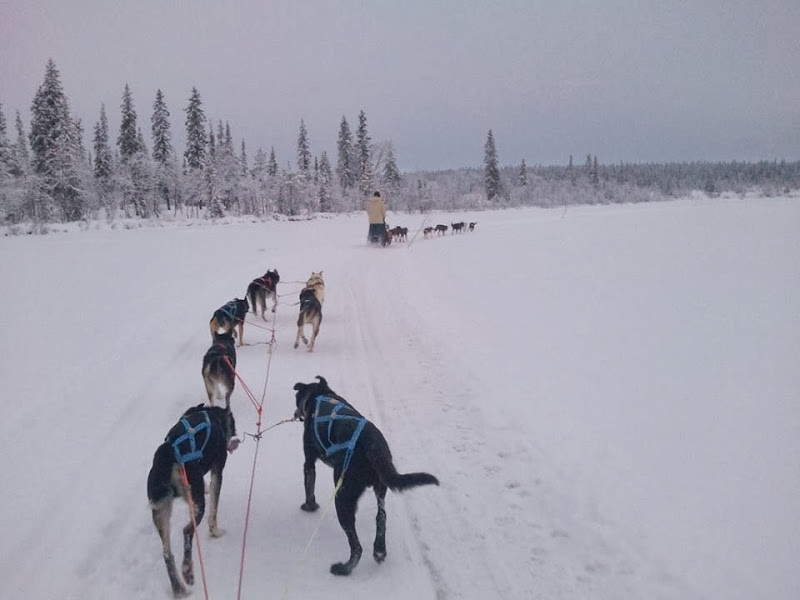 Your first adventure today is a true Arctic experience—a thrilling dog-sledding tour. 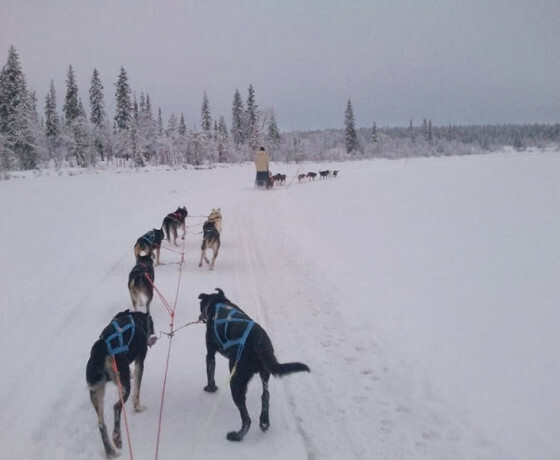 After pick up at your hotel, a skilled guide will show you the basics of mushing with your own team of huskies. Two people share one sled and take turns in driving. Then it’s time to leave the kennel and try your new skills out on the wilderness trails! You’ll take turns with another passenger driving the sled through the woods and over the plains. And to give the hardworking dogs and mushers a rest, you will be treated to coffee and a light lunch during a break around an open fire. 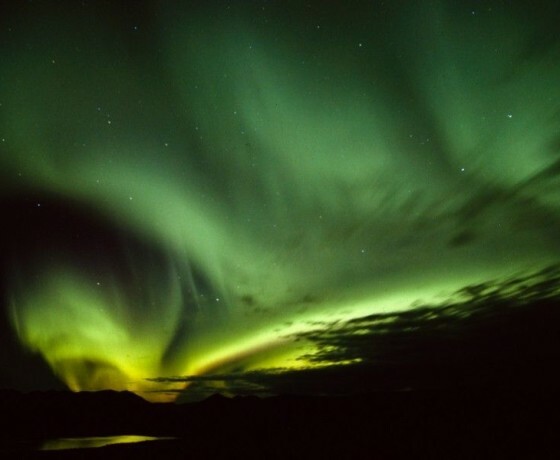 * Later, you will be taken to Abisko Mountain Station in Abisko National Park (100 km away) for an unforgettable night of natural beauty and Arctic cuisine. 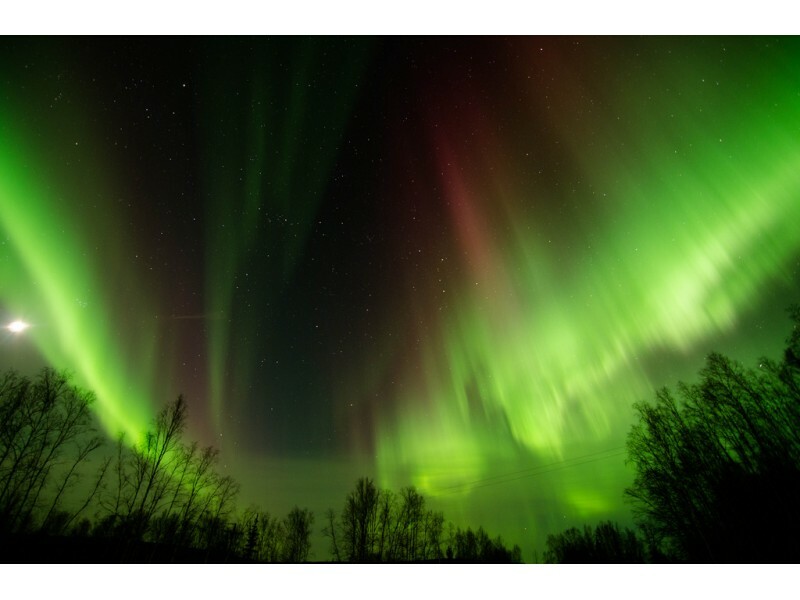 The evening begins with a chair-lift ride up to Aurora Sky Station, where you will enjoy a four-course dinner hopefully accompanied by a sparkling northern lights show (if conditions are right). 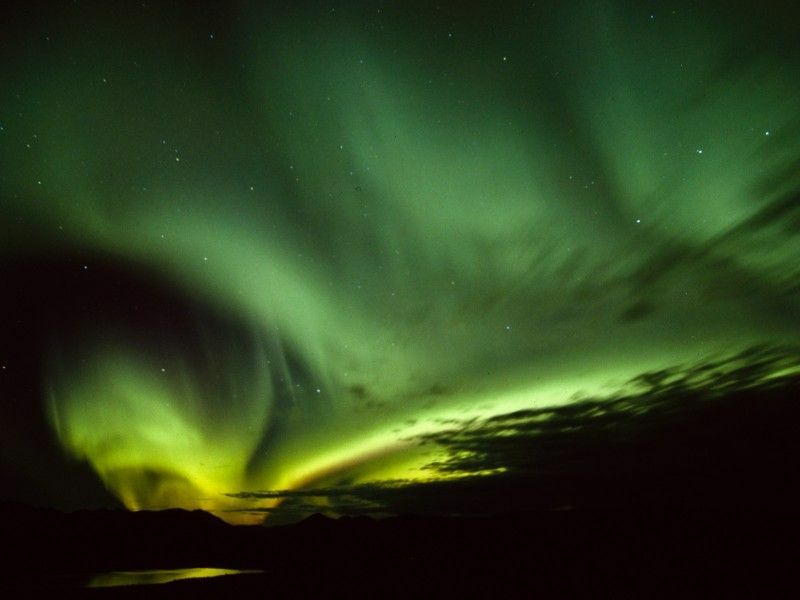 After dinner, you will learn more about the aurora borealis and how to find these dazzling lights with a guided tour. Afterwards, you will be returned to your hotel in Kiruna. * Please note that the excursion to Aurora Sky Station is not suitable for children. Today, you will be taken to the ICEHOTEL in the nearby village of Jukkasjärvi for a guided tour about the history and making of this fascinating hotel and its magical Ice Church. Every winter, the ICEHOTEL is rebuilt by artists from all over the world using snow and ice from the local Torne River. Famous for its unique concept and artworks, the hotel also features a stylish reception area and main hall, the chic ICEBAR, an ice chapel and an incredible assortment of rooms and suites for over 100 guests. This evening gives you another chance to chase the northern lights—this time by snowmobile! Two people share one snowmobile and take turns in driving. You’ll also enjoy an authentic Lappish dinner in a wooden hut around a fireplace before your guide returns you to your hotel. OPTIONAL UPGRADE: Overnight at the THE ICEHOTEL Make the most of your stay in Lapland with a stay at the ICEHOTEL. The temperatures inside are around -5°C to -8°C, but no worries, you will have your own thermal sleeping bag to keep you cosy as you sleep on soft reindeer skins. In the morning, wake up to a cup of hot lingonberry juice at your bedside followed by a refreshing trip to the sauna and a hearty breakfast at the restaurant. It’s time to return home after your action-packed break in the Arctic. 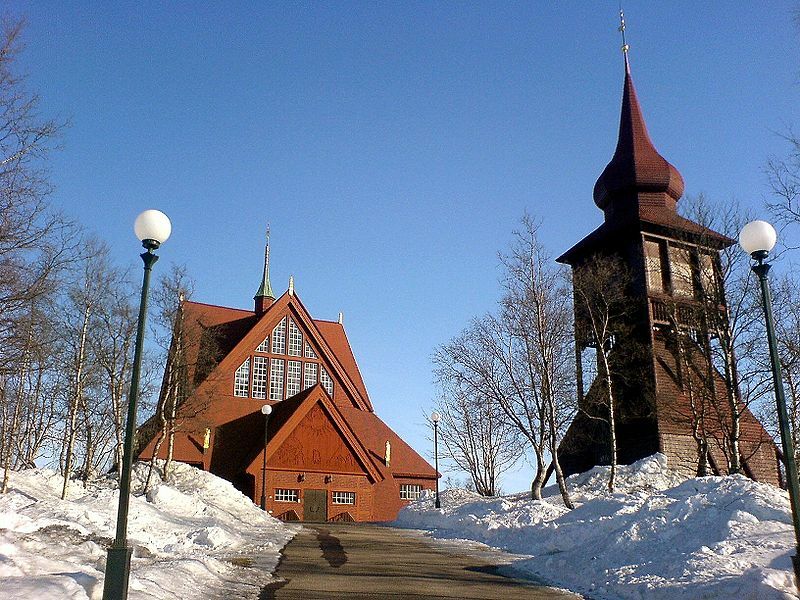 Transportation is provided from the hotel to Kiruna Airport for your departure flight. Regarding flights to/from Kiruna Please note that there are no flights to/from Kiruna on December 24th, 25th and January 2nd. 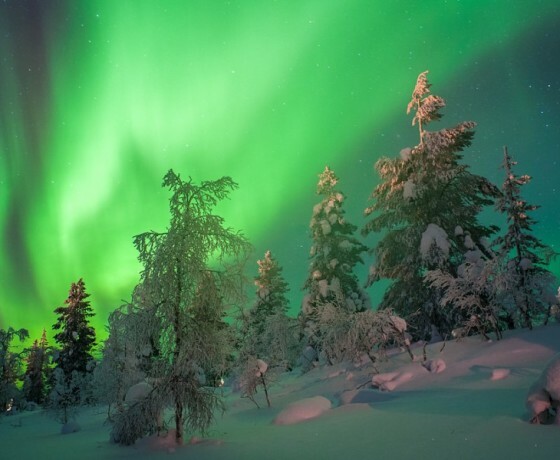 There are reduced flights to/from Kiruna on December 26th and 31st. We can however add extra nights to your preferred package if needed. Note: activities can be added to this package. Contact us for details.